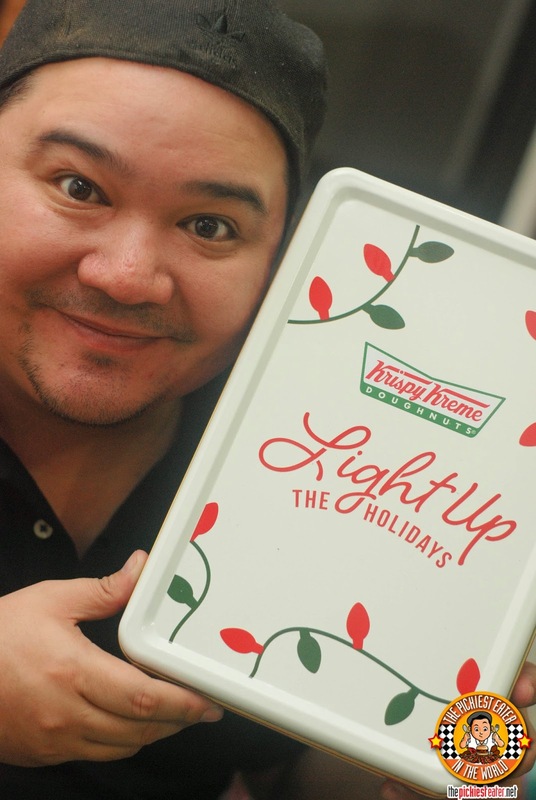 THE PICKIEST EATER IN THE WORLD: KRISPY KREME LIGHTS UP THE HOLIDAYS!! 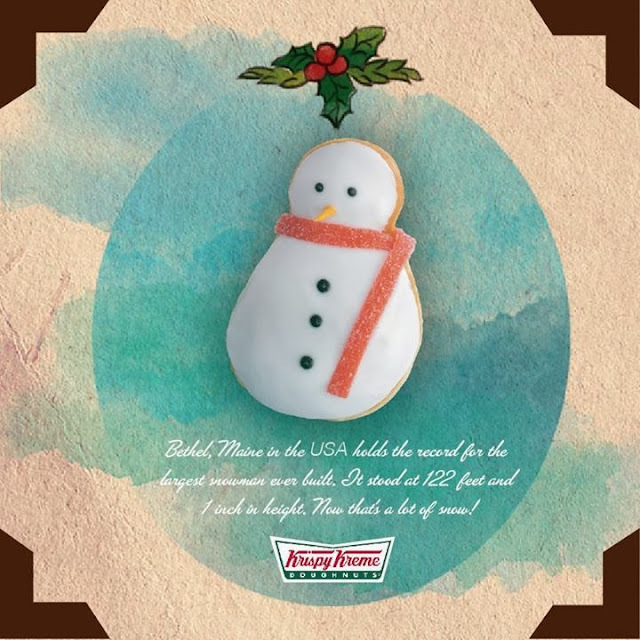 You've probably seen them already! 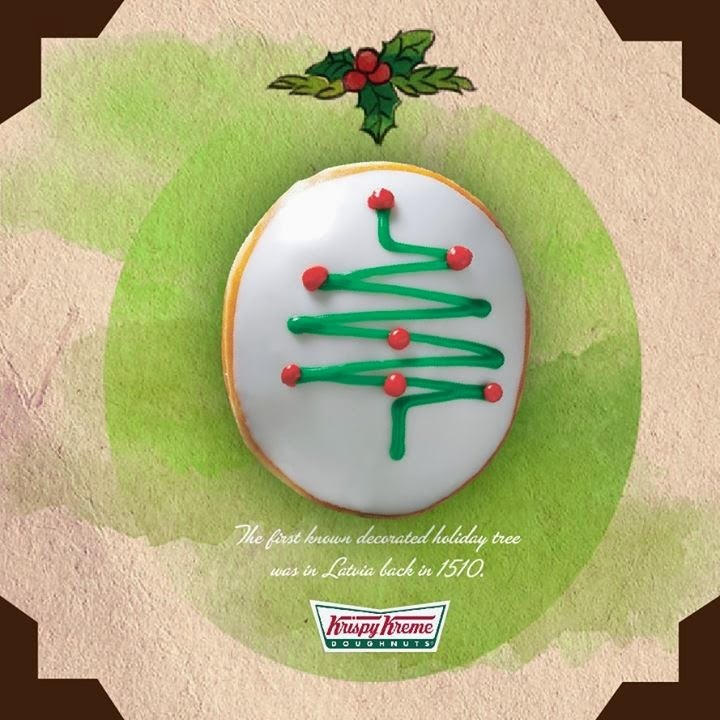 Krispy Kreme's Holiday Doughnuts! Perfect to share for Christmas Parties, as a dessert for Christmas eve, or even just a regular December night! 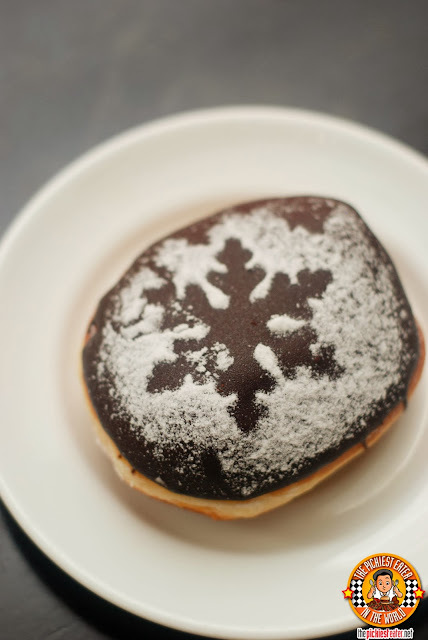 Enjoy this chocolate-covered doughnut with cream filling! 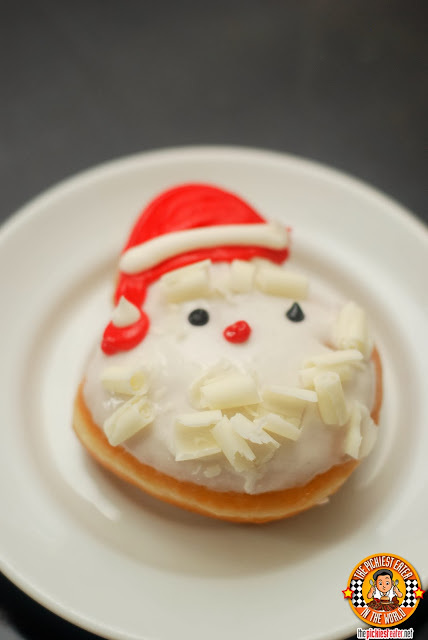 This one is ideal for kids who just love their sour gummy treats! 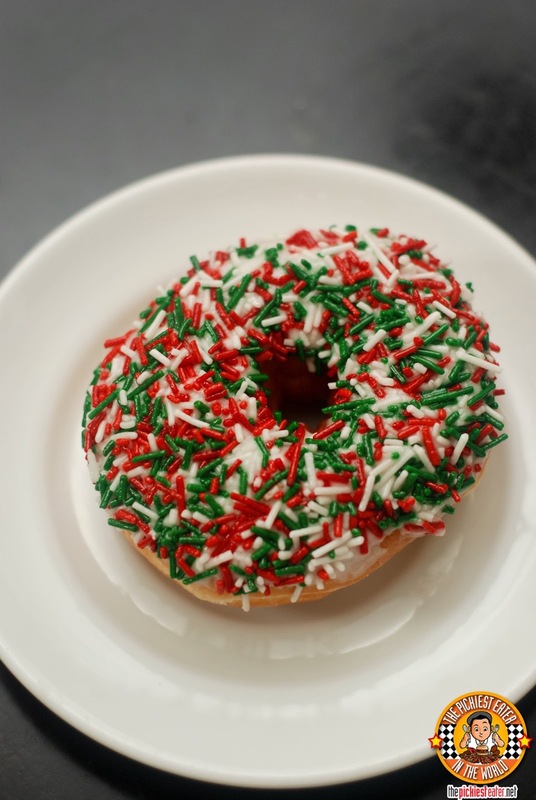 I found it a bit weird for my liking (sour + sweet) so what I do is eat the sour thing after devouring the doughnut haha! It works! 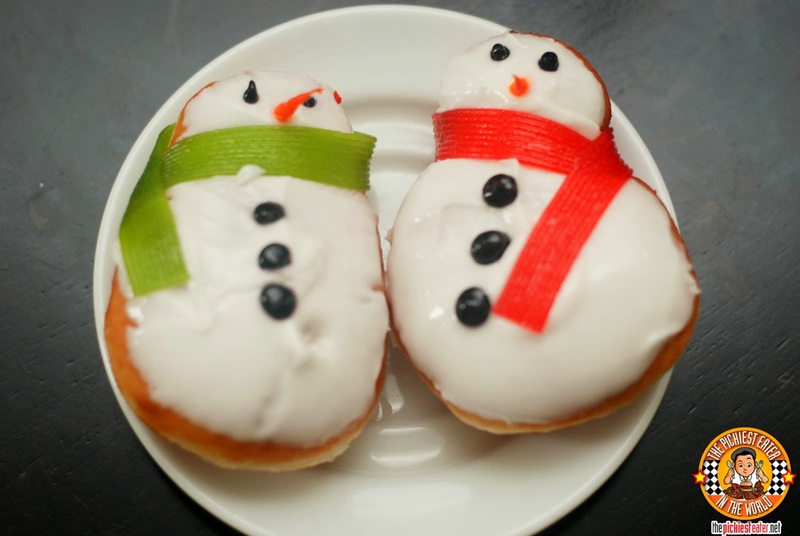 A white iced doughnut with red and green icing! This attractive iced doughnut is sprinkled with Christmas colored sprinkles! 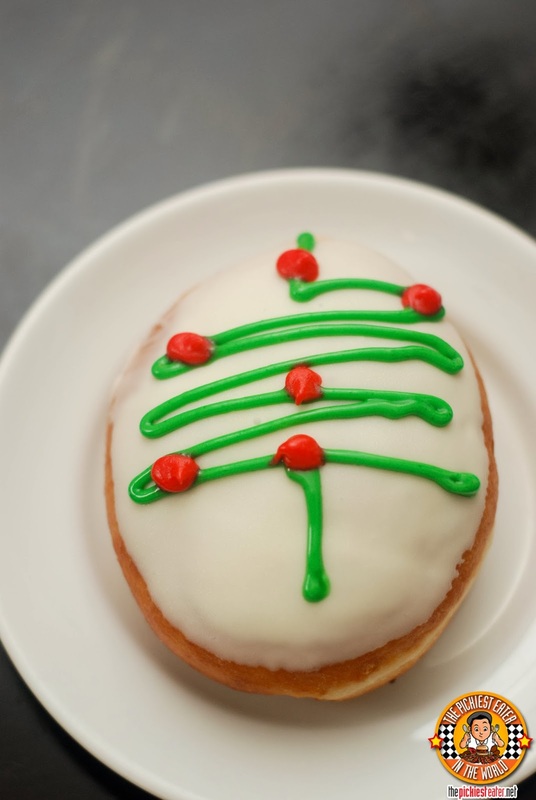 It's the simplest of all but for some reason it looks really appetizing! This Santa Doughnut is so cute! I love how the did it! 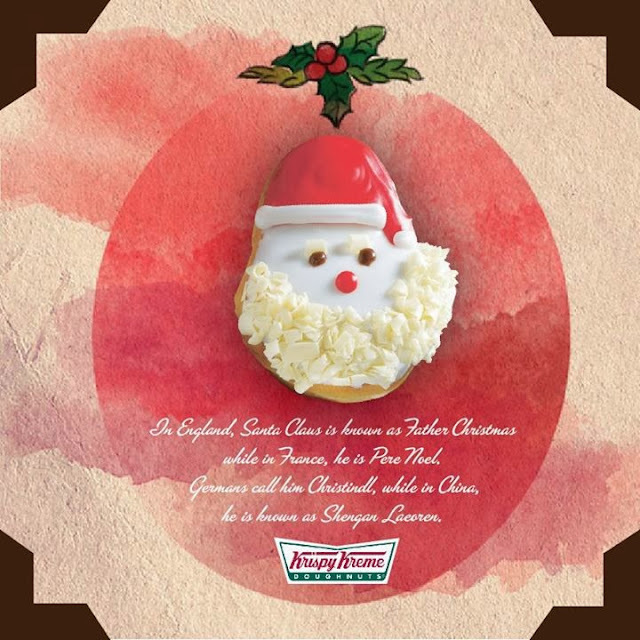 It's a white chocolate covered doughnut with red icing for the hat, and shavings of white chocolate for his fluffy beard! 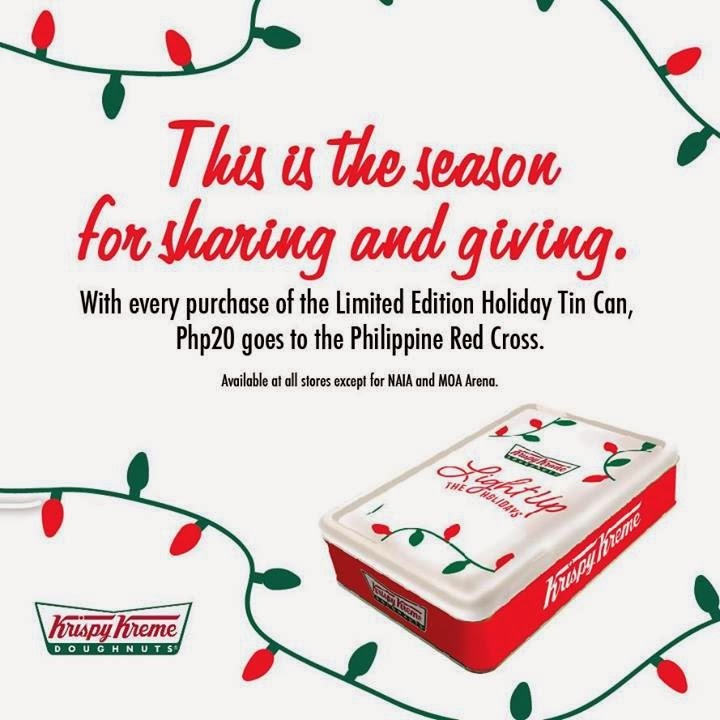 Aside from these goodies being undoubtedly delicious, they not only bring joy to your sweet tooth and tummies, but when you purchase these with this Limited Edition Holiday Tin Can, P20 goes to the Philippine Red Cross. 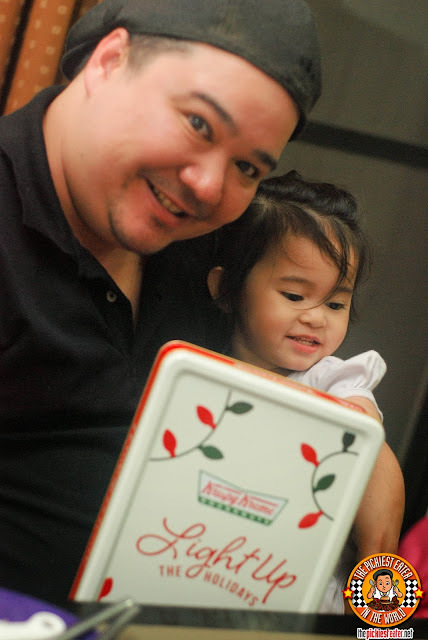 Sharing the tin can with my daughter. Just the tin can. Kidding! So that makes this whole purchase really worth your while. It's really the perfect snack to share with everyone knowing you are also helping the people in Visayas as well. 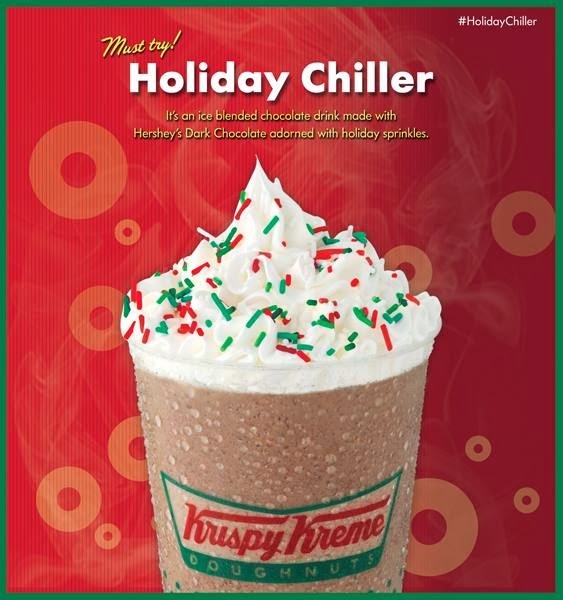 Don't forget to try their Holiday Chiller as well! 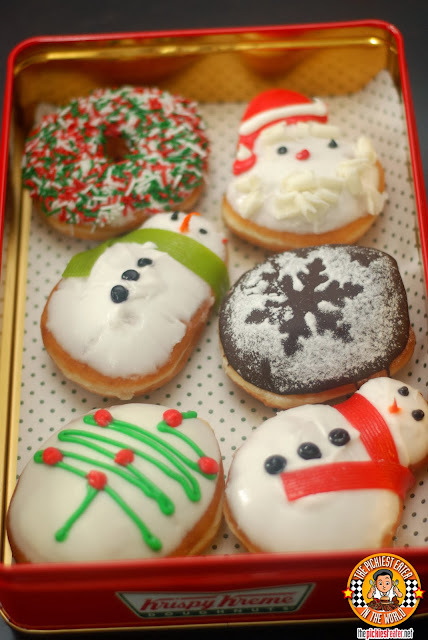 Now you can really say Happy Holiday!!! 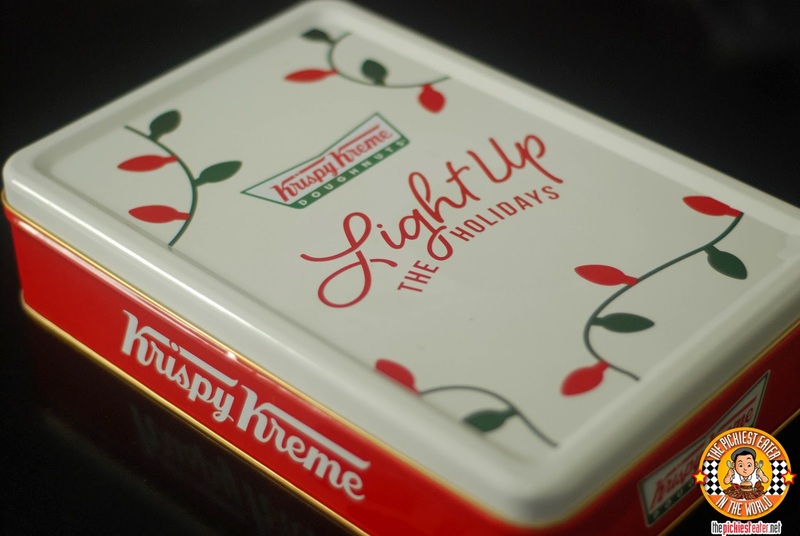 P.S: Enjoy these fun Christmas Trivia I grabbed from Krispy Kreme Philippines' Facebook!